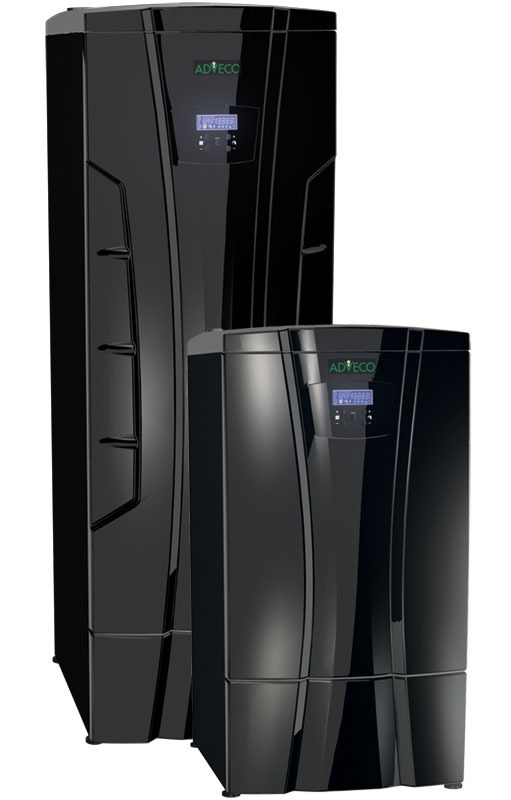 The Adveco AD is a range of floor standing, high-efficiency condensing water heaters designed to provide a reliable, high capacity and semi-instantaneous solution to a building's domestic hot water requirements. Manufactured by our European partner with over 50 years of industry experience, the AD range consists of four floor standing condensing water heaters with heat outputs from 70 to 280 kW. Each appliance from 140 kW and above features inbuilt redundancy due to multiple integrated heat exchangers, each constructed from a continuous run of titanium-stabilised stainless steel for added strength and corrosion resistance. Its efficient 3-pass design is unique to the brand and uses large bore, circular cross sections to reduce scale formation. With very low NOX and CO emissions due to an efficient pre-mix burner, as well as a high modulation ratio, the Adveco AD range serves as an environmentally-friendly water heater ideal for applications with large domestic hot water demands, including hotels, schools, and sports centres. The AD range can be configured to operate in a casacde of up to 8 water heaters using an inbuilt controller that additionally provides full temperature control and self-check maintenance functions. The controller accommodates 0-10 input, MODBUS communication, and alarm output for seamless system integration. Built-in redundancy due to multiple heat engines for AD 140T, 210T, and 280T.